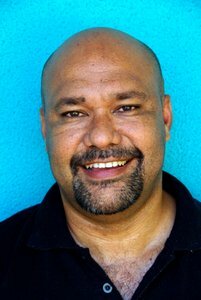 The importance of Indigenous Knowledge to the development of North Australia will be one of the topics discussed at the 2013 Charles Darwin Symposium this weekend in Darwin. “The Indigenous Knowledges in a Changing World Symposium” will bring together leading Indigenous academics and respected Elders from across the NT, Australia and New Zealand for the free two-day event at Charles Darwin University’s Casuarina campus. Chair of the 2013 Symposium organising committee, and Pro Vice-Chancellor, Indigenous Leadership at CDU Professor Steven Larkin, said a diverse range of academic speakers had been invited. “They will deliver presentations that will significantly add to the current debate on how traditional Indigenous knowledge can create new business opportunities and contribute to sustainable economic development,” Professor Larkin said. “On the second day of the Symposium, the CEO of the North Australian Indigenous Land and Sea Management Alliance, Joe Morrison, will discuss the issue of Northern Development in the Asian Century and the role of Indigenous Knowledges. Professor Larkin said Pro Vice-Chancellor Indigenous Engagement at Central Queensland University Professor Bronwyn Fredericks would present a paper entitled “Using Indigenous Knowledges as a Driving Force for Change” that challenged decision makers to draw on the strengths of Indigenous knowledges as the driving force to improve society for all. “The Symposium will also host renowned New Zealand Maori academic from Waikato University Professor Ngahuia Te Awekotuku, who will deliver a paper on ‘Indigenous Imaginings in the 21st Century Academy’,” he said. Day One of the Symposium on Sunday 21 April will include activities for the whole family, including displays, food stalls, a fashion parade and entertainment by talented Indigenous musicians including Shellie Morris and Paul McKenzie along with an exhibition by print artist Anne Hanning.